SafeBeat Initiative: How Concerned Should A Young Athlete Be About Heart Health? How Concerned Should A Young Athlete Be About Heart Health? Q.: I’ve seen stories in the news about seemingly healthy young athletes dying suddenly from heart failure. How does that happen? As a college student involved in sports, should I be concerned? A.: To answer your first question, there is a condition called hypertrophic cardiomyopathy, which, simply put, is a diagnosis of someone with thick heart tissue. Hypertrophic cardiomyopathy is the condition most associated with sudden cardiac death in athletes. In cases in which an athlete suddenly dies on the court or field because of heart failure, it’s likely he or she had this condition. But because heart failure is complicated, other factors could have played into the unfortunate outcome. I don’t know if you specifically should be concerned, but it’s good to be aware. Consider your own health history and family background first. If you have had heart issues in the past or if a relative has suffered with heart conditions, maybe you should be more cautious. Do you have any symptoms? Shortness of breath upon exertion is the most common indicator of heart-related conditions and should not be ignored. Also, pay attention to how much water you are retaining. Retention of water in areas like the legs can also indicate larger heart issues. It’s also important to take a look at your lifestyle. Activities such as binge drinking, drug use and smoking are extremely detrimental to the heart. Even if heart conditions do not run in your family, these activities can exacerbate the potential for developing one. So many young people get caught up in these kinds of activities and do not realize what they are putting on the line. Peer pressure really plays a role in this, too. Teens and young adults, especially college aged, face great pressure to binge drink and try drugs at parties, and with each sip or puff, they effect their bodies in many ways, including the heart. Some less suspicious causes of heart conditions and sudden heart failure are viruses and disease. Human Immunodeficiency Virus, for example, has been known to lead to heart disease. Among the many reasons to monitor your sexual activity, protecting your heart is a compelling one; contracting HIV can cause death not only through the virus itself but also through the effect of the virus on cardiac activity. Similarly, travelers can contract other diseases that can also lead to sudden heart failure. A little research when determining worldwide travel plans can be a lifesaver. More specifically to you as a student athlete, know that contact sports create a potential risk for heart conditions and sudden heart failure. Something as simple as getting hit in the chest with a baseball can cause a heart contusion and lead to death. In general, heart disorders are exacerbated by extensive physical activity. None of this is meant to scare you, but to help you understand how sudden heart failure, especially in young adults, is complicated and unpredictable. Each case should really be handled individually, so really the best advice I can give you — and any other athlete — is to get your heart tested. A simple EKG can give physicians enough information to know if there are any abnormalities in the heart. An EKG should reveal whether or not you have the thick heart tissue I mentioned, or anything else that would affect your athletic career. Also, it would be helpful to know if your school has an onsite defibrillator. These life-saving devices have become more common on campuses across the nation, an effort that began right here through the Gregory W. Moyer Defibrillator Fund (www.gregaed.org). Good luck in your upcoming season; play hard, win big and stay healthy. 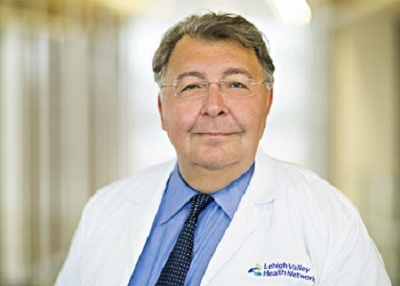 Dr. Hakki Bolukoglu is a board-certified noninvasive cardiologist and medical director of Lehigh Valley Hospital’s Heart Failure Program. He specializes in cardiovascular diseases, congestive heart failure, nuclear cardiology and echocardiogram imaging. Bolukoglu is a graduate of Aegean University Medical School in Bornova, Izmir, Turkey. He completed his Internal Medicine internship and residency at the University of Wisconsin, Madison, and his fellowship in cardiology at the University of Texas, Houston.